Given the choice, many dogs prefer praise from their owners over food, suggests a new study published in the journal Social, Cognitive and Affective Neuroscience. The study is one of the first to combine brain-imaging data with behavioral experiments to explore canine reward preferences. Praise Pooch: Most of the dogs in the experiments preferred praise over food, or liked them both equally. Kady, a Labrador-golden retriever mix, was the top dog when it came to the strength of her preference for praise. Dogs were at the center of the most famous experiments of classical conditioning, conducted by Ivan Pavlov in the early 1900s. Pavlov showed that if dogs are trained to associate a particular stimulus with food, the animals salivate in the mere presence of the stimulus, in anticipation of the food. Berns heads up the Dog Project in Emory’s Department of Psychology, which is researching evolutionary questions surrounding man’s best, and oldest friend. The project was the first to train dogs to voluntarily enter a functional magnetic resonance imaging (fMRI) scanner and remain motionless during scanning, without restraint or sedation. In previous research, the Dog Project identified the ventral caudate region of the canine brain as a reward center. It also showed how that region of a dog’s brain responds more strongly to the scents of familiar humans than to the scents of other humans, or even to those of familiar dogs. For the current experiment, the researchers began by training the dogs to associate three different objects with different outcomes. A pink toy truck signaled a food reward; a blue toy knight signaled verbal praise from the owner; and a hairbrush signaled no reward, to serve as a control. The dogs then were tested on the three objects while in an fMRI machine. Each dog underwent 32 trials for each of the three objects as their neural activity was recorded. 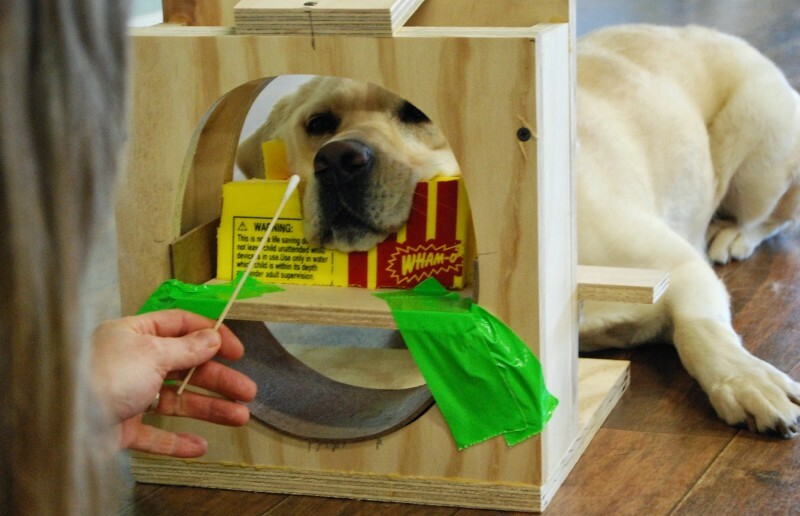 All of the dogs showed a stronger neural activation for the reward stimuli compared to the stimulus that signaled no reward, and their responses covered a broad range. Four of the dogs showed a particularly strong activation for the stimulus that signaled praise from their owners. Nine of the dogs showed similar neural activation for both the praise stimulus and the food stimulus. And two of the dogs consistently showed more activation when shown the stimulus for food. The dogs then underwent a behavioral experiment. Each dog was familiarized with a room that contained a simple Y-shaped maze constructed from baby gates: One path of the maze led to a bowl of food and the other path to the dog’s owner. The owners sat with their backs toward their dogs. The dog was then repeatedly released into the room and allowed to choose one of the paths. If they came to the owner, the owner praised them. 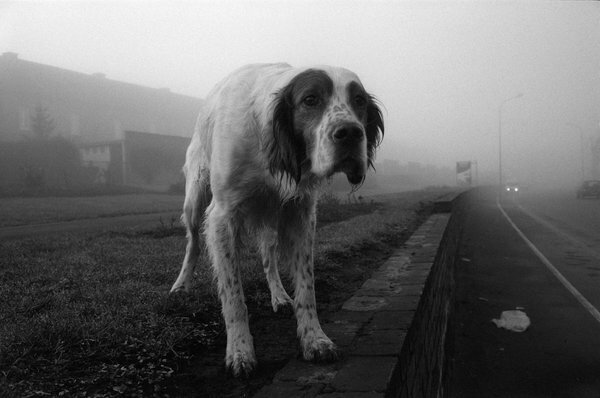 The experiments lay the groundwork for asking more complicated questions about the canine experience of the world. The Berns’ lab is currently exploring the ability of dogs to process and understand human language. Dogs have a specialized region in their brains for processing faces, a new study finds. PeerJ is publishing the research, which provides the first evidence for a face-selective region in the temporal cortex of dogs. “Our findings show that dogs have an innate way to process faces in their brains, a quality that has previously only been well-documented in humans and other primates,” says Gregory Berns, a neuroscientist at Emory University and the senior author of the study. Having neural machinery dedicated to face processing suggests that this ability is hard-wired through cognitive evolution, Berns says, and may help explain dogs’ extreme sensitivity to human social cues. 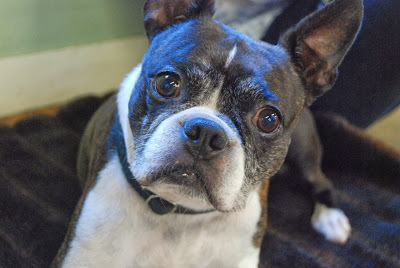 Berns heads up the Dog Project in Emory’s Department of Psychology, which is researching evolutionary questions surrounding man’s best, and oldest, friend. The project was the first to train dogs to voluntarily enter a functional magnetic resonance imaging (fMRI) scanner and remain motionless during scanning, without restraint or sedation. The study involved dogs viewing both static images and video images on a screen while undergoing fMRI. It was a particularly challenging experiment since dogs do not normally interact with two-dimensional images, and they had to undergo training to learn to pay attention to the screen. If the dogs’ response to faces was learned – by associating a human face with food, for example – you would expect to see a response in the reward system of their brains, but that was not the case, Berns says. The researchers have dubbed the canine face-processing region they identified the dog face area, or DFA. One hypothesis is that distinguishing faces is important for any social creature. The functional MRI research team led by Gregory Berns have done it again. In research published in the journal Behavioural Processes, they show that an area of the canine brain associated with reward responds more strongly to the scents of familiar humans than it does to the scents of other humans, or even to those of familiar dogs. The experiment involved 12 dogs of various breeds. The animals had all undergone training to hold perfectly still while undergoing an fMRI scan. As they were being scanned, the subjects were presented with five different scents that had been collected on sterile gauze pads that morning and sealed in Mylar envelopes. The scent samples came from the subject itself, a dog the subject had never met, a dog that lived in the subject’s household, a human the dog had never met, and a human that lived in the subject’s household. The familiar human scent samples were taken from someone else from the house other than the handlers during the experiment, so that none of the scent donors were physically present. The dog scents were swabbed from the rear/genital area and the human scents were taken from armpits. The results showed that all five scents elicited a similar response in parts of the dogs’ brains involved in detecting smells, the olfactory bulb and peduncle. The caudate responses, however, were significantly stronger for the scents of familiar humans, followed by that of familiar dogs. An interesting twist: The dogs in the experiment that had received training as service/therapy dogs showed greater caudate activation for the scent of a familiar human compared with the other dogs. It is unclear whether this difference was due to genetics or had simply been fostered through the service/therapy training. “We plan to do further research to determine whether we can use brain-imaging techniques to better identify dogs that are optimal to serve as companion animals for the disabled,” Berns says. The training of service dogs is time-consuming and expensive, he says, and only about one-third of the animals that begin the process successfully complete it. Meanwhile, the waiting list for service dogs is long, and includes many wounded veterans. I’m an absolute advocate for positive reinforcement training. Here’s how Professor Gregory Berns and his research team trained dogs to remain still in a noisy MRI scanner.